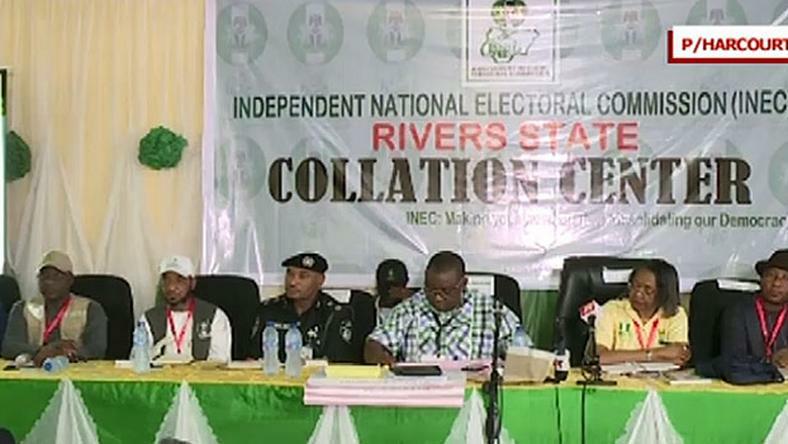 Collation of results for Rivers governorship election. 15 LGAs have so far been collated. Governor Wike is leading in 13. While AAC is leading 2. There are 17 wards but collation took place in 13 wards because the process was disrupted. There are 19 wards but election held in 18. There are 13 wards in the LGA and election held in all. Who Is A Liar Inec Report Or Police Exoneration Report: Rivers State Governor Wike Vs Police Officer Akin Fakorede?